The speed at which change happens in an organization is continually accelerating. We believe that modern EA tools should be flexible and agile, allowing you to change your metamodels to reflect the shifting reality of your organization. 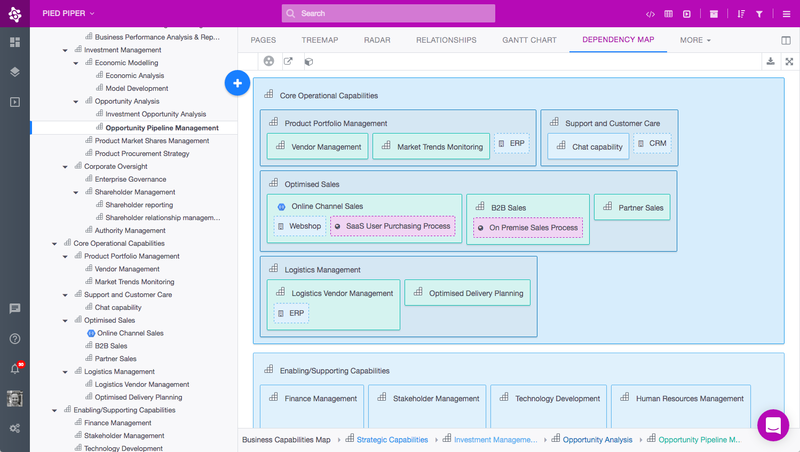 With Ardoq, you can quickly document your architecture using ArchiMate® 3.0, then visually explore relationships and layers – like Strategy, Motivation, and Business – using auto-generated, interactive diagrams. 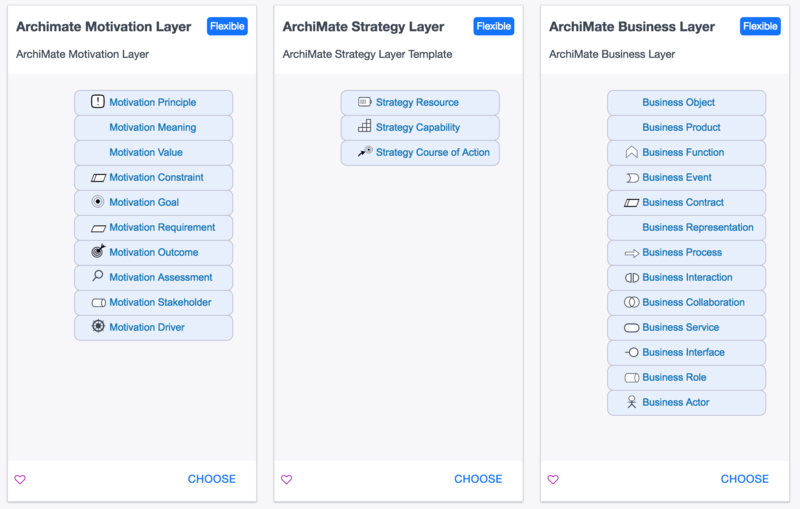 Dive straight in to documenting your architecture with ArchiMate® layer templates. Use our out-of-the-box templates for ArchiMate® layers or create your own. Build layers in their own workspaces with their own permissions, then define their relationships with artifacts in other layers and workspaces. Quickly outline your business’ high-level capability categories with Ardoq’s flexible metamodels. Choose a flexible metamodel to nest components any way you like and grow your metamodel in parallel with organizational changes. “With the support of the ArchiMate version 3.0 modeling language, and in combination with Ardoq’s already extensive collaboration and visualization capabilities, we see that Ardoq is an excellent choice for organizations to manage and have control of their complex environments. Ardoq automatically creates and updates interactive visualizations of your architecture, so whenever the data is changed, so is your diagram. You can customize icons, shapes, and names of artifacts and relationship types to tailor your notation to your organization. Ardoq is cloud-based software, so you can work together with your colleagues from anywhere. 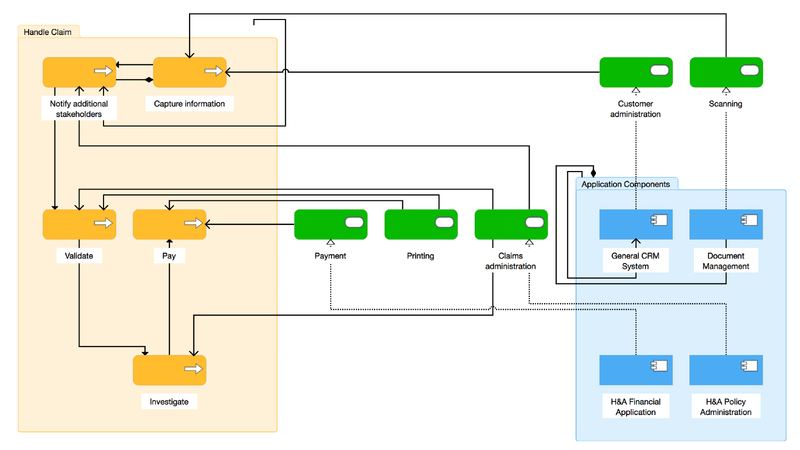 Use Ardoq’s permissions to make sure only the right people can work on your diagrams. When you’re ready, you can show them off in the Presentation Viewer. Artifacts in Ardoq have metadata, so you can search, sort, and filter your data to find exactly what you’re looking for. Invite domain experts in your organization to document with custom metamodels, tailored to their expertise, and create relationships to connect them all into a single network. Using this third-party Python library, you can import your ArchiMate® Exchange files into Ardoq.